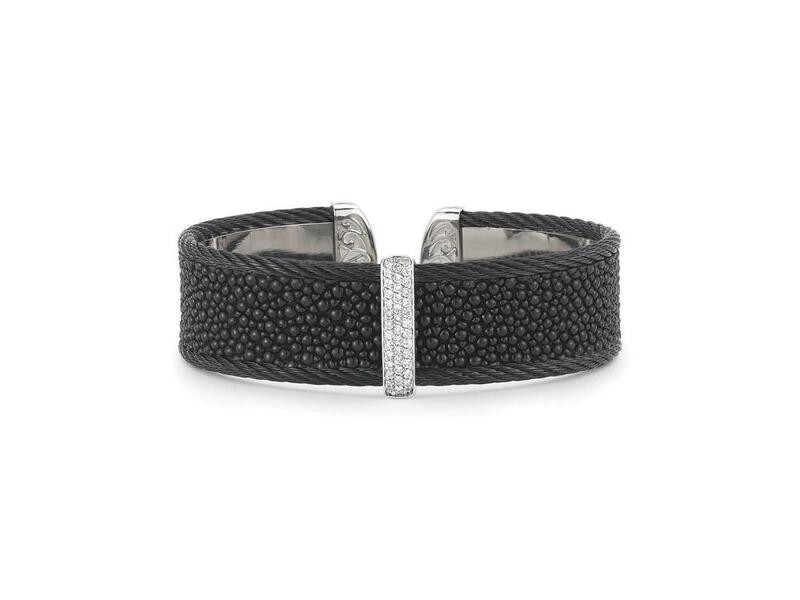 Black cable, black Stingray 18 karat White Gold, 0.34 total carat weight Diamonds and stainless steel. Imported. Advertising copyright 2019 ALOR International LTD. - All designs copyright ALOR International LTD.